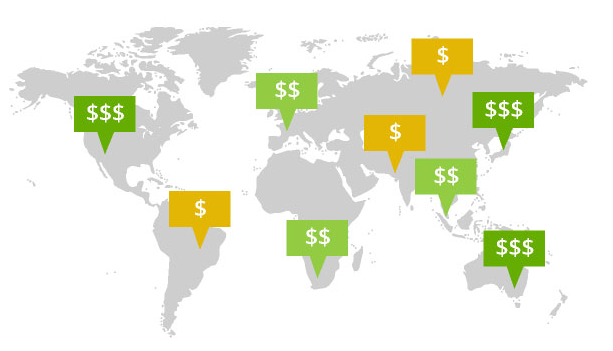 You can set a separate cost-per-install (CPI) bid for every country where your promotion is active. To choose the best CPI bid, check what the average CPI bid is in each targeted country. Aim to bid at least as high as the country average. If you bid significantly lower than the country average, your ads will be shown infrequently. Why is that? Imagine that the AppBrain SDK needs to show ads to a user in the USA. To do this our system first compares all campaign ads that target users in the USA. We compare the ads based on their CPI bids and their predicted install rates for the user. We predict the install rates by matching the user data from the publisher app to the user data from the ads’ install history. If an ad doesn’t have much history yet, we take an average of install rates of ads for other apps. Note that if your ad’s predicted install rate is the US average because we don’t have real performance data for your campaign yet, and your CPI bid is lower than the country average, it’s very unlikely that your ad will rank high among all campaigns in the system. Therefore other campaigns will most likely take all impressions if your new campaign is launched with a low CPI price. Read our post The AppBrain advertising system for more information about how we select ads and calculate their install prices. Use our ‘Bid optimizer’ tool to optimize your bids. The ‘Bid Optimizer’ shows how your campaign’s daily install volume would change if you increased or decreased your average CPI bid. (The campaign average CPI bid is the average of the country bids where each country is weighted by its number of impressions.) The ‘Bid optimizer’ uses data from your campaign to estimate the daily install volume. This data becomes available a few hours after first starting your campaign. If your campaign’s average CPI bid gets modified, all individual country bids will automatically be scaled with the same factor. If you want to drive up the install volume in a particular country, then you need to manually increase your bid further for that country. If the install rate of your campaign improves, you will get more installs at the same price, or the same number of installs at a lower price. The install rate of your campaign is how often showing your campaign ad to a user leads to an actual install. You can easily improve your install rate with the AppBrain ‘Title’ tool. This tab on the campaign settings page allows you to set many titles and promotional subtitles for your campaign in multiple languages. Localization: It’s essential to provide translated titles for the main languages of the countries where you’re promoting. Before showing your ad to a user, AppBrain checks if you have the promotional title available in the user’s language and shows that to the user. Even if you’re promoting only in the USA, adding a Spanish subtitle can help, as there are quite some Spanish speakers in the USA. A/B testing: You can create multiple texts for a single language. Every user with that language will then get a randomly chosen title from the ones you configured. After a couple of days, you can compare the performance of your different alternatives and disable the ones that don’t perform. Target as many countries as you can in the beginning of your campaign and narrow your selection later if you need to because of budget or post-install user quality reasons. 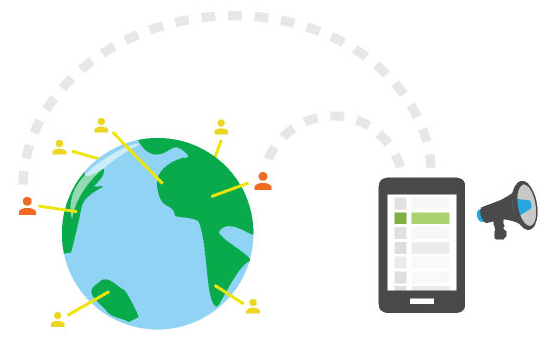 You can track how your ad performs in the different countries in your campaign’s country report. You may also use the average CPI bid per country overview page to find countries where you can get installs at an attractive price.